“The firm’s leadership team has decades of experience in asset management, institutional investing, and fintech from such blue-chip firms as Point72, Morgan Stanley, Goldman Sachs, CITIC and Balyasny,” the company’s website said. “According to Deloitte, many asset management firms today face increasing challenges with environmental changes driven by regulators, customer preferences for low-cost investment solutions, and advancing technologies. “Alpha Innovations, the brainchild of leading financial executives, saw an opportunity to address these challenges directly by leveraging structural innovation and blockchain technology to offer greater operational efficiency, and significantly reduce risk and fees within a regulatory-compliant framework. “A key lesson from my 12 years at Point72 was never to compromise on the talent, which is one of the basic tenets on which we are building Alpha Innovations. Our management team has worked in the financial markets through numerous up and down cycles and is also well versed in the potential of blockchain technology,” said Lawrence C. Newhook, CEO and President, Alpha Innovations. “The foundation of any institutional-quality investment management business is strong regulatory oversight and for this reason, we chose Bermuda for our global headquarters,” said Mr Newhook. 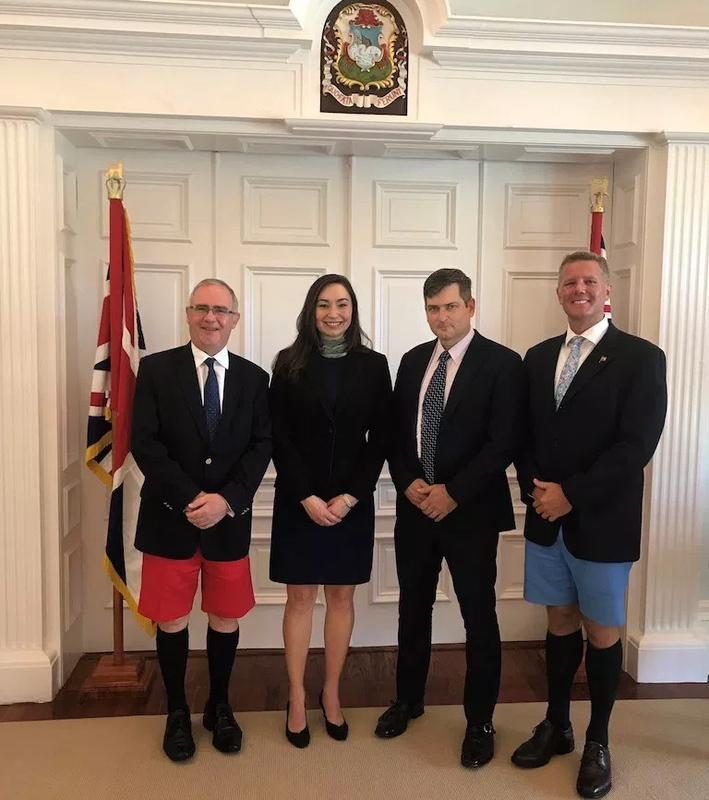 “Our government has pioneered legislation to put Bermuda at the forefront of the blockchain revolution, and Alpha Innovations is exactly the type of cutting-edge company we are looking to attract,” said Premier David Burt.